Dr. Sivan Patel was born and raised in Des Plaines. He graduated from Loyola University of Chicago in 2004 with a Bachelors in Finance. 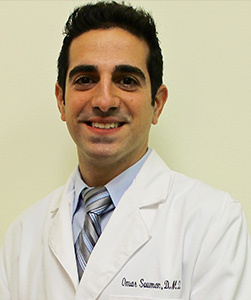 He then attended the prestigious Boston University Goldman School of Dentistry and graduated in 2009 with his DMD. Dr. Sivan Patel believes that excellent oral health begins with education and prevention and has made it his mission to enlighten patients to ways they can take greater control over their own dental health. Dr. Sivan Patel is committed to continuing education and remaining aware of the latest advancements in oral health and dentistry. Along with regular participation in continuing education classes and programs, he has lectured and consulted on a number of topics in the dental field. Personally, Dr. Sivan enjoys basketball, football, traveling, music, and cars. He is married and has a one-year-old boy. Dr. Patel’s goal is to maintain a successful dental practice which serves to improve the quality of life for its patients. Dr. Souman graduated with Honors from one of the world’s top Ivy League dental schools, the University of Pennsylvania School of Dental Medicine. He has been in private practice in Chicago for over five years and demonstrates his passion for dentistry daily. He is a caring, talented, and compassionate professional who provides exemplary dentistry. As a member of the American Dental Association, Chicago Dental Society, and Illinois State Dental Society, Dr. Souman is dedicated to providing his patients the highest quality of care. Dr. Souman was born and raised in Chicago where he then completed his undergraduate studies at the University of Wisconsin – Madison where he earned a Bachelors of Science degree in Economics. When not spending time with his family, Dr. Souman enjoys competing in sports, including soccer, flag football, and local races as an avid runner. He also shows a great interest in different cultures by having traveled abroad to many places. In his spare time, he enjoys the art of photography. 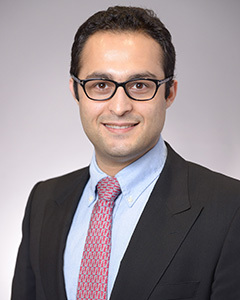 Dr. Amir Danesh Sani got his DDS on 2008 and received his postdoctoral specialty training in Periodontology and Implant Dentistry at New York University. Dr. Sani’s career goal is putting the patient`s interest first and minimize any inconvenience and stress to patients by making the process noninvasive and more efficient. He is a big believer of evidence based dentistry and uses current techniques and industry breakthroughs supported by scientific evidence, for providing the highest quality of care to his patients. Dr. Sani was selected as a winner of first prize in a Clinical Showcase Scholarship from New York University. He was also selected as the recipient of Award for Academic excellence for his scholarly activities. He believes that research plays a vital role in the enhancement of patient care. He has contributed to publication of 2 books and published more than 20 papers in prestigious journals including Journal of American Association of Oral and Maxillofacial Surgeons, British Journal of Oral and Maxillofacial surgery, International Journal of Oral and Maxillofacial surgery, Implant Dentistry, Clinical Implant Dentistry and related research, Journal craniofacial surgery, Journal of American Academy of Cosmetic Dentistry, and Journal of Periodontal Research. 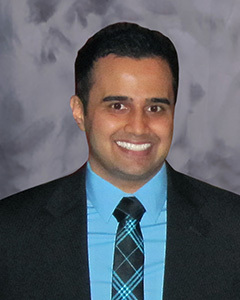 Dr. Sani is a member of numerous professional organizations including the American Academy of Periodontology, American Dental Association, Chicago Dental Society, a member of both the American and International Association for Dental Research, The International Association for Orthodontics, and American Orthodontics Society. Dr. Sani is passionate about the specialty of periodontology and implant dentistry and makes a serious commitment to continuing education by attending the professional meetings to stay updated in the field. He is bilingual in both English and Farsi. At Library Plaza Dental Center, we select only the best of the best to serve our patients and their families. All of our staff members are friendly, knowledgeable, and highly proficient in their office duties. Should you have any questions or concerns before, during or after a visit to our Des Plaines dentist, do not hesitate to visit with one of our staff members. We perform general dentistry and emergency dentistry: they are standing by to address your needs. Learn a little bit about the staff members that will be helping you while you visit Library Plaza Dental Center, above.